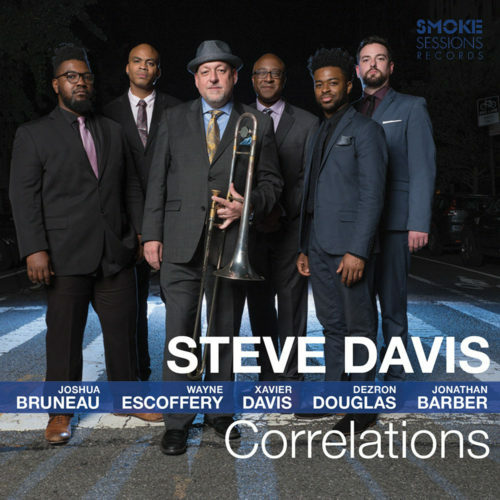 Correlations, available now via Smoke Sessions Records, introduces the new band with a set of inspired new tunes and classic compositions from jazz masters who’ve pointed the way for Davis and his cohort to follow, galvanized by tradition but boldly pushing forward. That adventurousness is just one of the connections that binds these six artists together, one of many correlations that give the album and the sextet their name. Produced by Paul Stache and Damon Smith.